Arena media is an award winning PR agency centred around being smart and agile, creative and personalised. 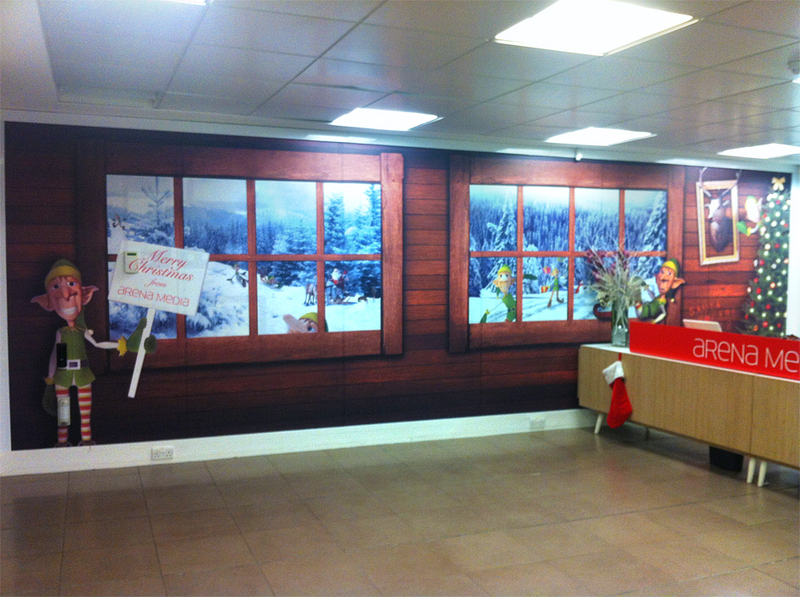 We have designed and installed various wall graphics in arena’s offices over the past years and they usually like to go to town at Christmas with a fun competition for the staff to get involved with. With the Santa wall graphic we added all of the baubles, Santa and the text separately so they could have the lovely snow scene in the reception area throughout January. It worked really well as that was a particularly cold snowy start to the year.